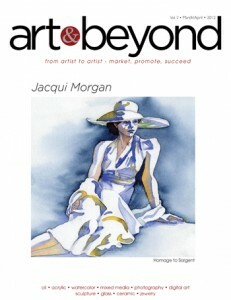 Art & Beyond Publications is proud to announce that March/April issue Online issue is published and is open for public view. To purchase printed version of this magazine please click here. I always hear from people that they have no time to shoot or nothing to shoot. I used to believe that is true but I have learned to always find something to shoot. I felt like shooting but didn’t feel like going out so wanted to see what I could find around my hotel; The Pan Pacific in Singapore. Each year, from the beginning of autumn until the following summer, Château de Versailles Spectacles and the Centre de Musique Baroque de Versailles propose a large programme of operas, concerts and ballets in exceptional settings of the palace of Versailles. Oysters in the sky. Digital photography. Untitled. Oil on canvas. 40" x 60"
Based in Chicago,USA, Jason Fairchild is a modern artist that currently uses painting as the fastest and best way to get his message out there. Tree of Life. Turiya. Acrylic on canvas. 36" x 24"
Julie & Dirty having fun for the audience. Watercolor on Arches, 11" x 15"
Jacqui Morgan, Illustrator Painter Educator Writer. Interest in drawing started at a very young age for Paula who then attended the Junior School of the Art Institute of Chicago. Under the guidance of Emanuel Jacobson she focused on life drawings. Most recently she has been doing a series of “Pin-Head People.” The heads are “pin-head” in size and the body is stretched out as the form moves to the hands and feet.